The ABC Family Channel series Switched at Birth follows two families that find out that they were sent home from the hospital with the wrong babies 15 years ago. Not only is the premise of the show interesting, but the sets are fun to look at, too. I found the listing for the house where the Kennish family mansion exteriors are filmed, so let’s compare the sets to the real thing! Former baseball player and wealthy business owner John Kennish and his stay-at-home wife Kathryn have been raising Bay in their Kansas City mansion, while struggling single-mom Regina Vasquez has been raising their biological daughter Daphne in a working-class neighborhood. Daphne is deaf as a result of contracting meningitis when she was 2, compounding the “what ifs” the families face when discovering each other. Would she have gotten sick and lost her hearing if she had been living with her real parents? Bay has some things to deal with, too, like the fact that her biological father is out of the picture and Regina won’t give her any info on him. 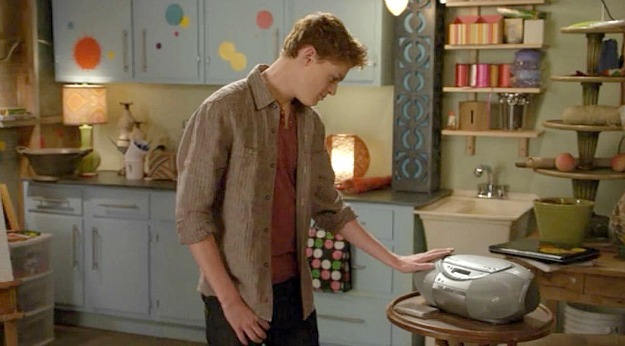 According to the ABC Family website, Switched at Birth is the first mainstream TV series to have multiple deaf and hard-of-hearing series regulars and scenes shot entirely in ASL (American Sign Language). This has to be one of my favorite TV kitchens. 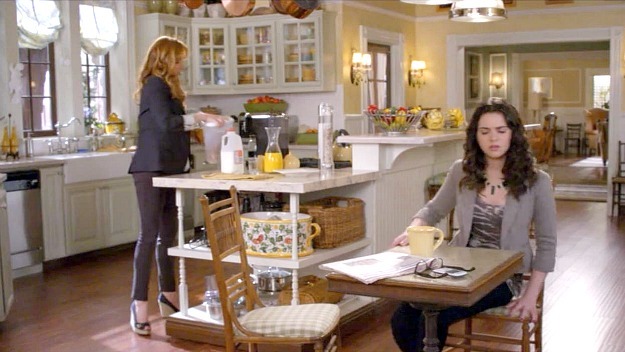 Greg Grande, who was the Production Designer for Switched at Birth, worked on other shows with great sets like Cougar Town. The Series Set Decorator is Richard Walker, who worked on another favorite of mine that I’ve featured–Samantha Who. Love all the built-ins in this kitchen. D.W. Moffet plays John Kennish. If you’re a Friday Night Lights fan like I am, you probably remember him from that show when he was a not-so-nice rich guy named Joe McCoy. It took me awhile to warm up to him on this one just because of that! One thing I don’t quite get about the kitchen is why the table they put with the large banquette is so tiny. Lea Thompson plays Kathryn Kennish. Blair Redford played Ty, who briefly dated Bay at the beginning of the series. 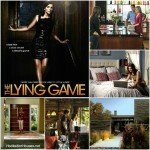 He now stars as Ethan Whitehorse on another ABC Family series, The Lying Game. 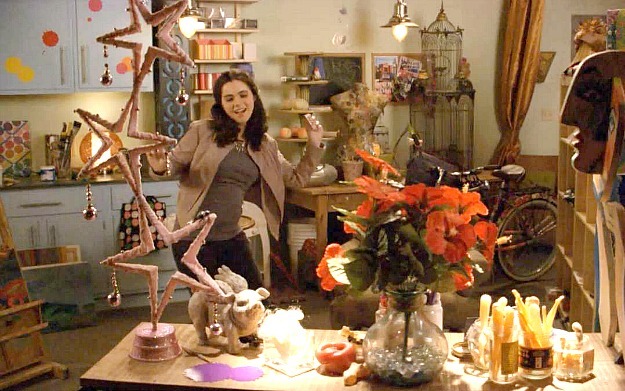 The set designers made Bay’s room colorful and artistic like her biological mother Regina’s apartment. 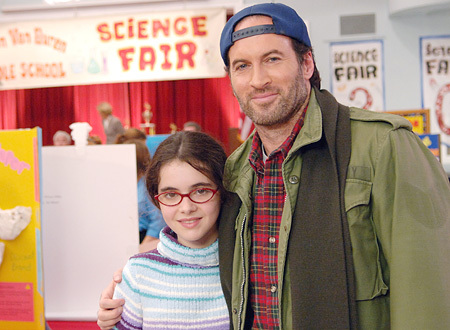 The first time I watched the show, it drove me crazy trying to figure out where I’d seen Vanessa Marano (who plays Bay Kennish) before. Then I realized–she was Luke’s daughter April on (my favorite show ever) Gilmore Girls. She’s grown up a lot since then! Constance Marie plays Regina Vasquez, who moves into the guest apartment over the garage on the Kennish estate with Daphne so that they can all get to know each other and co-parent their daughters. Spoiler alert–complications ensue! The guest house is a lot more colorful and is filled with art. In the same way that Bay’s room is more colorful than the rest of her house in the mansion, Daphne’s is cooler and more muted than the rest of the apartment. It’s one of those subtle cues that they don’t quite fit in with the parents who raised them. 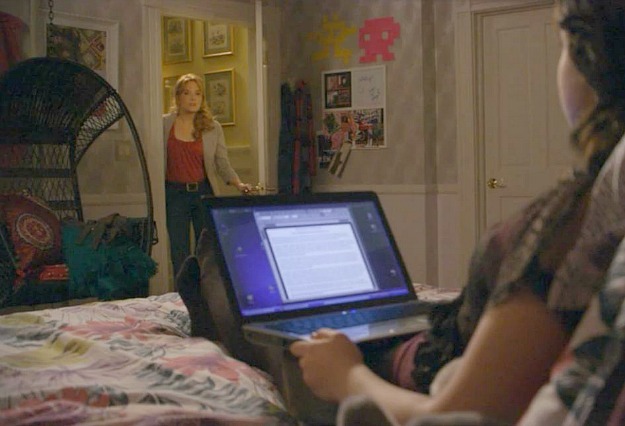 Daphne’s room looks more like her biological mother Kathryn’s style. 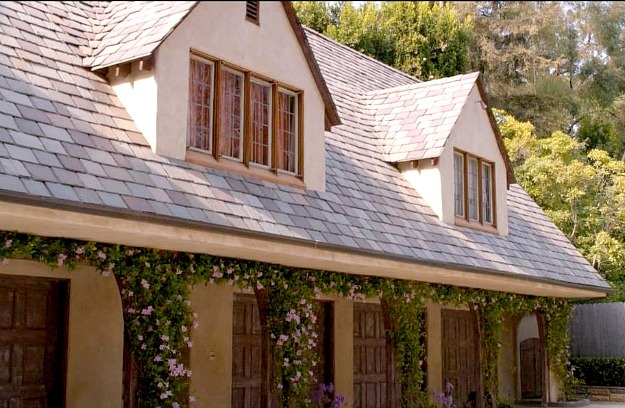 The sets for the show must be HUGE between all the rooms for the Kennish family house, the garage with art studio, and the guest apartment above it. 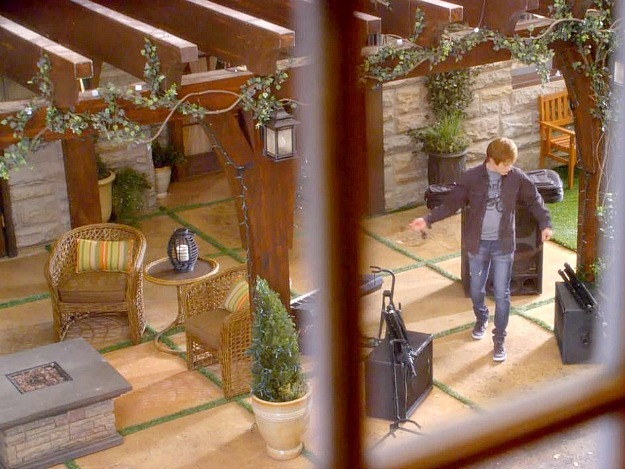 Not to mention the patio outside the garage where a lot of scenes take place. Built in 1927, the 6,700 square-foot house sits on 3 acres. It looks more formal than the interiors on TV. The guest house has 3 separate apartments. For more photos and information, check the listing with Hilton & Hyland. 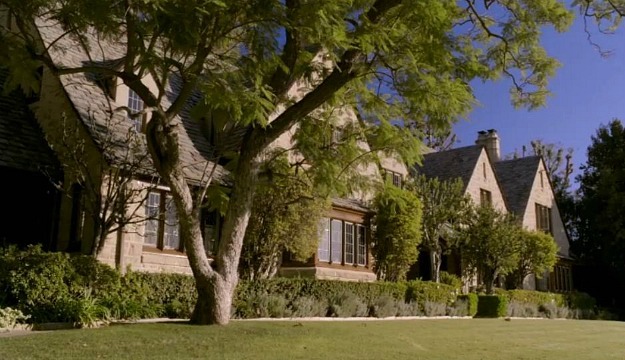 Thanks to Housekaboodle for blogging about this house, which is what got me interested in watching the show in the first place. You can read more about it there. Are you a fan of the show? Is the Kennish mansion or the cozy guest house more your style? This is actually the long time rental home of Tom Cruise. He rented this house after his devorce from Nicole Kidman and stayed their until after Suri was born. No kidding? Wow. I had no idea! Thanks, Brian. Love this house – thanks for posting! How funny! I read this entire post and my first thought after was, “Oh, I miss the Gilmore Girls!” Wasn’t it the best show ever? I still miss it! I do, too! I started re-watching the entire series about a year ago and am just now finishing up the final season. I only have 2 discs to go and am already sad knowing it’s almost over (again). I keep hearing they might do a movie–wish they would! Yep! A GG movie would be wonderful. I’m really enjoying Amy Sherman-Palladino’s new show Bunheads on ABC Family. Thank you so much Julia for mentioning me in the post and I am so thrilled to learn more about the show and the house that I have been a fan of since its debut. Between liking the main house or the guest house best, in this case they are both the most wonderful for different reasons. 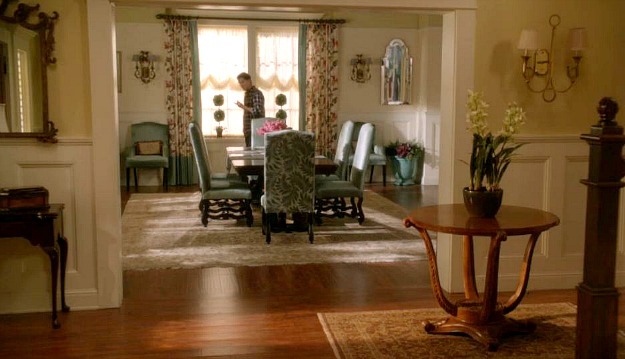 The set decorators did an amazing job. Daphne is actually played by a hearing actress, who just plays the part very well. She has some interviews on line where she talks about playing a deaf character. I think she is awesome. I really think that this show is bringing ASL to the fore front. You can now take it in some High Schools and most colleges for a foreign language credit. Nice Post, love the show! Suzy–I read a couple of places that she was deaf, so after I got your comment I checked her IMDb.com page to see what it says. You’re right, she’s not deaf but is “hard of hearing” and has Meniere’s Disease. Thanks! They currently have a new character that they had an episode about explaining Meniere disease. I like how they bring in the real life struggles of the deaf in their episodes. Tonight’s show should be good, all in ASL. Suzy–I had read that she was deaf when I was researching the show, but after I got your comment I checked her IMDb.com profile to see what it said. You’re right, she’s not deaf. It says she’s “hard of hearing” and has Meniere’s Disease. Thanks! Love this blog–would love to see Dennis the Menace (the first one) and 10 Things I Hate About You. What night is that on TV??? Love the movie set so much more than the actual interior. :). Gorgeous from the outside. 100,000 grand/mo is maniacal! Eek! 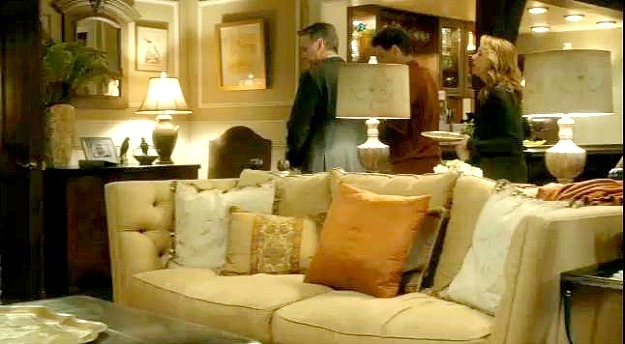 I agree with Tracie, the sets are so much more gorgeous than the actual interior. I wish they were real. Thanks for featuring. 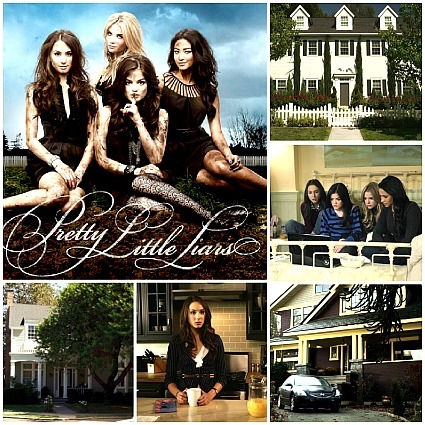 I love this show and the houses. Though it drives me nuts that it’s supposed to take place in Kansas City and yet it never snows or even appears cold. The characters barely even wear coats! I guess I just wish it truly represented living in the midwest (since I do). I really like the ASL on the show and it’s made me want to take classes! I love this show, because of my interest in ASL. It’s such a unique concept to having signing and speaking on the same show – and so well done. 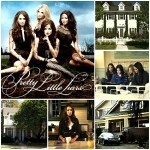 I agree that the sets are prettier than the actual house. Thanks for showing all those pictures! You research these all so well, Julia! It is such a wonderful show but barely gets 2mill viewers. I WANT THIS KITCHEN! It is so expansive. But it is fake, a set? Bc the actual pics def dont match. So dark, so much pannelling. Did Richard Walker say if this is a real functional kitchen ? The cups, dishes in the cabinets are real or foam\pretend ? I love it…I dont think I’d be able to fill all the cabinets. 100,000 to rent? The budget for this show must be crazy high. Yes, the interiors are all sets on a soundstage. The exterior shots are of the real thing. Not sure how functional the kitchen set is, although we see them running water in the sink sometimes, don’t we? 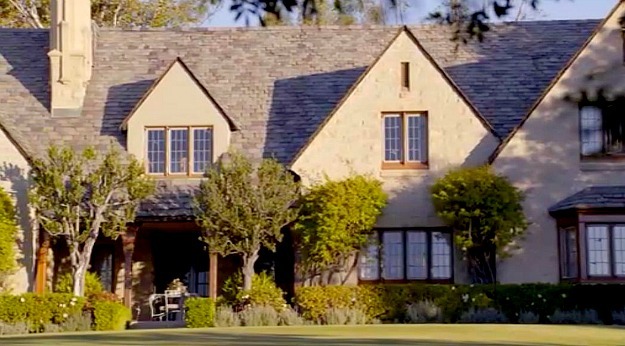 I was just watching the movie “Hitchcock” and I believe that his house is the same exterior! Anyone else watched both?